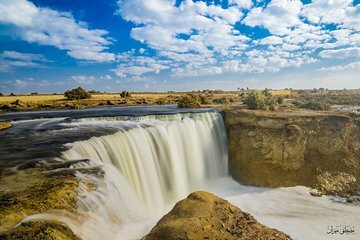 Escape the bustle of the city and discover a range of scenic attractions on this relaxing, Egyptologist-led day trip from Cairo. Head to the ancient desert town of El Fayoum by air-conditioned minivan. Other sights include the mudbrick ruins of temple-filled Karanis, founded in the 3rd century BC, and stunning Qarun Lake, which you’ll visit by boat. Tours include a tasty lunch and hotel transfers.